5XL size is currently out of stock. Sporty, casual and equipped with all the peculiarities of a well-kept traditional shirt. You will feel comfortable in this traditional shirt. The pure mercerised cotton not only wears well, but is also light and also after frequent washing in equally well-kept look. 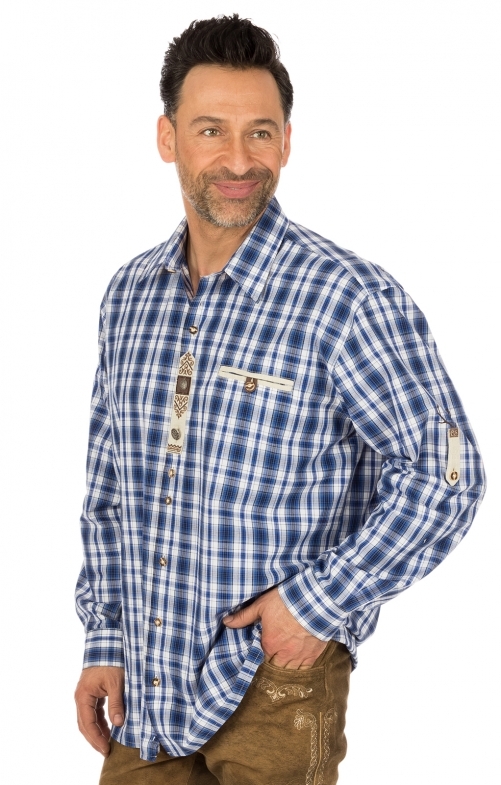 The colour blue turns out to be very good with the woven check and contrasts perfectly with the natural coloured piping on the chest pocket or the small arm tie with which the shirt sleeve can also be rolled up. In the back, a box pleat provides additional freedom of movement. The shirt is offered in comfort fit.